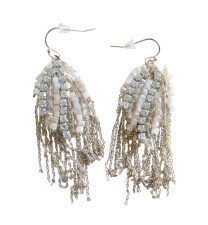 Affordable jewelry aimed at making every woman feel like an “It Girl”. 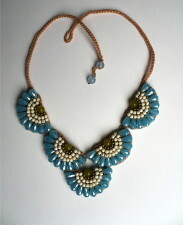 Beads with muted tones of blue and freens woven carefully into a floral design. 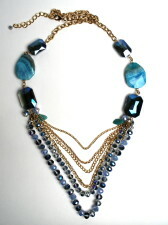 Stones in bold shades of blue and layers of beaded and gold chains. 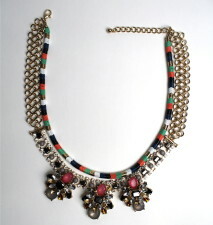 Tribal meets preppy in this rhinestone necklace adorned with gem tones and shades of gold. 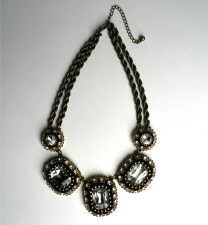 Get in touch with your edgy side with this silver and black crystal bib necklace along a strand of braided charcoal gray chains. 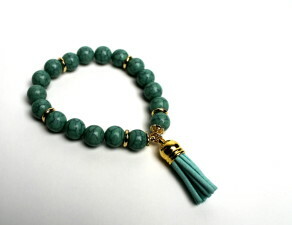 Turquoise look beads with a small suede tassel detail. 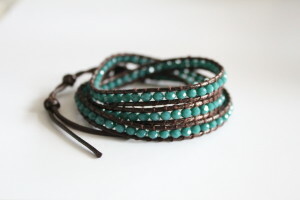 Available in rust, taupe, and emerald. 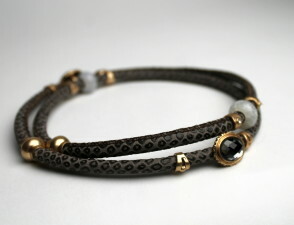 Snakeskin textured leather wrap bracelet with minimal beaded details to add some shine to a casual look. 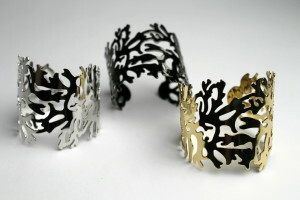 This coral shaped cuff brings the beauty of the beach to your wardrobe. 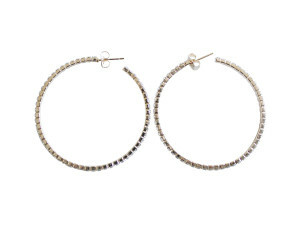 Available in gold, silver, and slate gray. 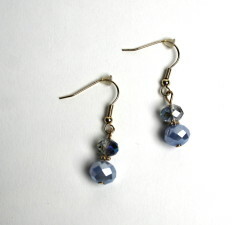 Gold drop earrings with delicate blue beads that add a little shine to your look. 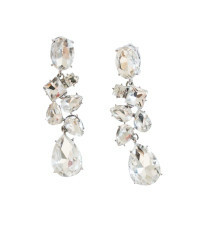 Enjoy free shipping on all orders for a limited time.